These politicians can like to abuse each other on paper but when they see each other, they are very cordial. 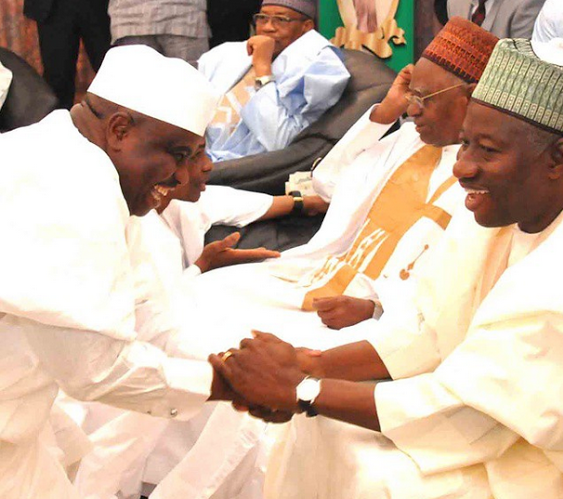 The Speaker of the House of Reps Aminu Tambuwal pictured greeting president Jonathan respectfully with a huge smile on his face at the birthday party of Shehu Shagari in Sokoto yesterday. So tell me,who are they deceiving? ?